But what is wrong with learning about it the way you learned about it? It's a type 2 rare, legendary creatures are in standard as well - why should a format specific faq teach them about this 'trick'? And most of the stuff you said should be self evident if you stop to think about it, or easily picked up when it happens in a game. Plus, I can't say I've ever heard people asking what abilities or types of cards are affected the most by the rules before - so I don't see it being a frequently asked question. For the same reason we would discuss why some cards are not banned. It provides relevant insight into why the rules were set up the way they were. Why Commander chose singleton and what happened because of it is interesting. I think the reason there is no FAQ is the idea most of this stuff is self evident. The different types of magic players (johnys, spikes, etc.) apply just as much outside the game as well. People work differently when they read about this format. Some won't read the rules at all and will be taught socially. Some will go to the forums and absorb all the info they can get. Some will go to the FAQ over a specific question and some will just read it looking for insight as to how and why Commander works the way it does. Speaking of which, where the hell is this FAQ? Is there any sort of idea of when it will be added as its own section to the main EDH page? Is it just me, or has EDH gone from a fun casual format to "look how much money I can spend on a 'casual' deck!"? Yeah, I wondering the same. I think we need a "Can someone Mindslaver me, kill my general, and LEAVE it in the GY/Exile?" entry, too. The answer is "YES, please use the search button"
I think the first thing we need to do as a community is create an actual FAQ thread with a few different clearly marked sections. or something similar; just 3-5 sections that cover the most commonly asked questions. I'll break it down for whenever we get the FAQ, since it wasn't explained in full in the post Yawg07 refered to. All of the following quotes are from the offical MTG rules. 903.11. If a commander would be put into its owner’s graveyard from anywhere, that player may put it into the command zone instead. 903.12. If a commander would be put into the exile zone from anywhere, its owner may put it into the command zone instead. Owner gets to choose. But what is an "owner"? 108.3. ... If a card starts the game in the command zone, its owner is the player who put it into the command zone to start the game. Since the owner is a player, and since Mindslaver reads, "You control target player", the player who used Mindslaver get to make the decision to return the commander to the command zone or not. This also means when a commander is taken control of by another player (using a spell like Control Magic), the owner still gets to choose. Suggested FAQ question: why can't I move my commander back to the command zone if it gets placed in my library? It's counter-intuitive enough that it gets a special mention in the rules, and everyone asks that question the first time it happens to them. As someone new to EDH, my first question was...what exactly do they mean by "multiplayer?" A: Free for all (3+)...but play whatever variants you prefer. My second question was, is there a FAQ? Thank you so much for commander. So i tried to use the search to look up stuff about bringers but i failed to find what i was looking for. But the bringer brings up a good question of mana cost on generals. Lets say for instance that a Legendary creature has an alternate mana option like any bringer. Then lets say he is used as a general. Now at some point in a game he gets into play then goes back to the commander zone. he should cost two more plus his mana cost to play. But if you are using his alternate mana cost, does that cost two more? The Commander Tax applies to when you cast the commander from the command zone. Such as, if you used Aluren to flash in Omnath. Omnath would cost free+The Commander Tax. Or if you used Fist of Suns to pay WUBRG to cast Progenitus. He would cost WUBRG+The Commander Tax to cast. Are you sure about that? When I was constructing my Omnath deck I was specifically told Aluren means never having to pay general tax since I am playing him "without paying its mana cost"
Agree on Fist of Suns though; it replaces whatever mana cost with WURGB, but since you're still paying a mana cost of some sort the general tax gets added on to it. But if you circumvent the mana cost entirely I was under the impression that you can evade the tax. Extra costs apply to alternative costs, the set of which "free" is a member. Thus why Trinisphere effects Force of Will. Are commanders allowed tat have activation costs in there text such as Bosh, the Iron golem? and if so are cards wit mana symbols In them in this cast red allowed to be added to the deck? B/c mana produced would always be colorless, otherwise his ability would be null and void. And are bringers allowed to be in decks tat do now ave commanders wit all 5 colors. as they ave an additional casting option but do not have ability's that interfere wen played? Unless you have "house rules" that specify otherwise, yes. Personally, my playgroup allows them, but all of them with physical effects (like Red Hot Hottie) or any of them that are too powerful to allow like Mox Lotus or Mirror Mirror is banned. No to both. There was an errata added in the case of cards like Bosh, and any card with an unrepresented color or mana symbol ANYWHERE on the card (for example, let's pretend we're making a deck for Omnath. 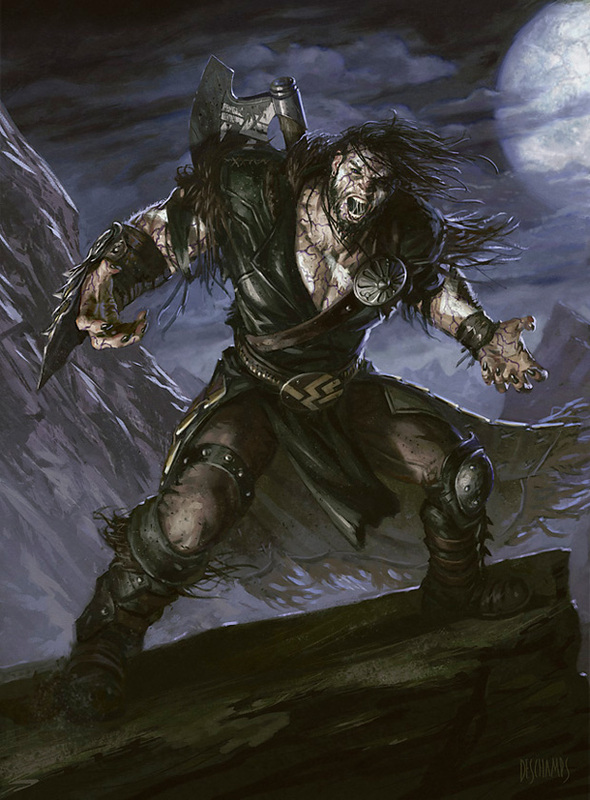 Garruk Relentless and his flipside do not have any bad mana symbols but the flipside is half black, so he can't be in mono-green. On the other hand, Daybreak Ranger and his flipside are both pure green, but the flipside has a red mana cost in its text box, so it is unallowed. However, Cliffrunner Behemoth does mention red and white, but as it has no symbols of those colors, and is none of those colors, it is fine. The same goes for rainbow lands: as long as they have no symbol, they can be used). What determines your age in this forum? Is it posts or time as a member?